As a Graduate of the San Diego Founder Institute, Southern California startup InvolveSoft (formerly Glipped) streamlines social responsibility programs as a unique service few other companies accomplish. In the past, the degree to which a company embraces social entrepreneurship relied upon their product offering. If a company’s product clearly and overtly made the world a better place, that company was considered to be driven by social entrepreneurship. Examples of companies in this space are plentiful, and more continue to emerge every day. Some build products that fix problems in the developing world and save lives. For example, Watsan Envirotech engineers an electricity-free water filter using a new nano-clay particle filtration technique, a low-cost solution to the world’s clean water crisis. Other social entrepreneur startups make the world a better place by solving problems for humanity’s fluffy friends. Pethub, for instance, creates digital ID tags for dogs and cats, and helps to ensure that pets find their way home. This concept takes a slightly different form for companies like Toms Shoes, which donates a pair of shoes to an impoverished child for every pair of shoes sold to customers. For Toms, the act of shoes along does not guarantee social good, but social entrepreneurship is built into their product offering via the donation practice. Recently, the definition has broadened to include companies with ordinary product offerings, but socially good practices. Adobe, for instance, set an ambitious 2035 goal of reaching 100% renewable energy use for all of their operations and product deliveries. Which followed their announcement that they’ve reduced overall water consumption by more than 60%. Adobe is not alone, however. The list of giant companies with serious social good programs is expanding rapidly, across almost every sector of the economy. However, social entrepreneurship practices aren’t limited to massive corporations. 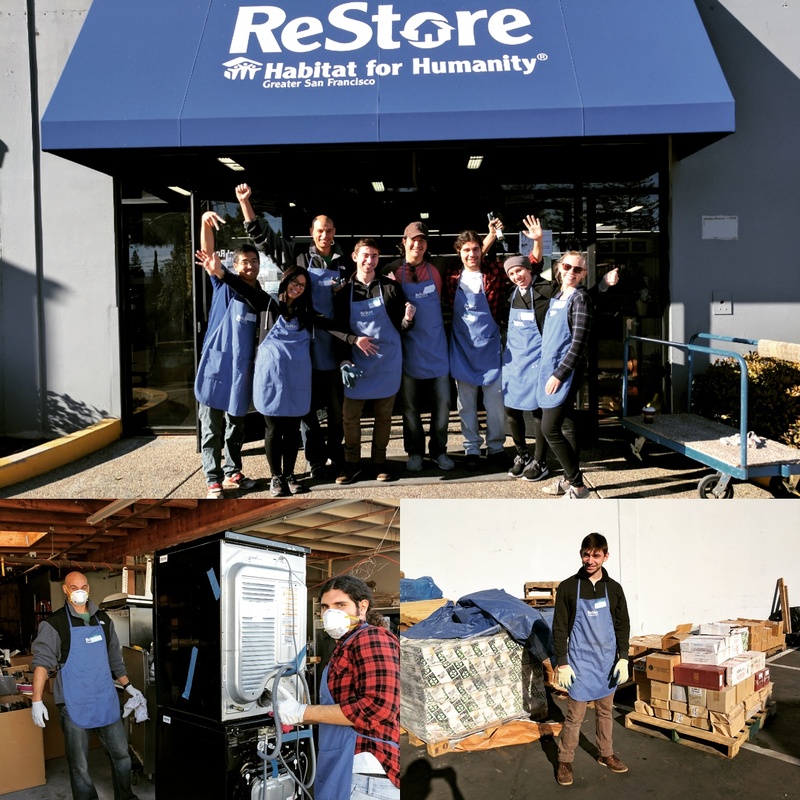 Last month, our team here at Founder Institute Headquarters was honored to spend a day volunteering with Habitat for Humanity, a non-government organization that builds housing for those in need. Although our contribution to society was dwarfed by the likes of Watsan, Pethub, Toms, and Adobe, we tried our best to make the world a slightly better place. All of us found the experience to be both fulfilling and a perspective-shifting change of pace. Our volunteering offsite would have been far more difficult to coordinate without InvolveSoft (formerly Glipped), a software-as-a-service platform for corporate social contributions. In some ways, they address a critical niche in the gradual progression of social entrepreneurship. By pairing companies with non-profit organizations, InvolveSoft ensures that teams find the ideal place to volunteer. They arranged our entire volunteering experience and offer that planning and arrangement service to other busy companies. Off-sites aren’t easy to plan, and volunteering offsites are even more difficult to plan. Paperwork, coordination, and scheduling all take a great deal of time, and InvolveSoft streamlines that entire process. Graduates of Founder Institute San Diego in 2016, InvolveSoft is young and growing. Their services aren’t limited to volunteering offsites, either. Through their service, companies will be able to measure employee engagement and manage the determine the needs of each team. They also streamline the reporting process for corporate responsibility with charts and graphs, ensuring that companies can determine their progress quickly and easily.